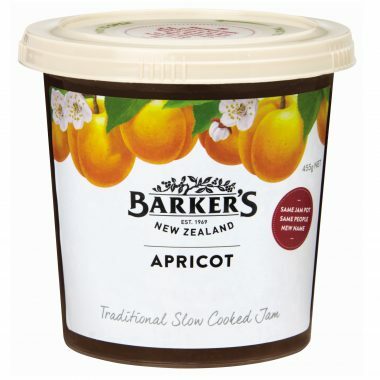 Although Barker’s Apricot Jam is already quite smooth in texture, straining it after heating is recommended if you are going to use the glaze on pie lids or baked goods such as danishes or sweet buns. The addition of cinnamon or cloves to the glaze is optional, but works really well in apple-filled pastries, pies and tarts. Leftover glaze can be stored in an airtight container in the fridge for a few weeks – reheat, adding a little water, as needed. In a small saucepan add Apricot Jam, water, lemon juice and spices. Heat over a low heat until the mixture starts to “melt” and appears runny. Place a sieve over a bowl and carefully pour the mixture into the sieve and strain, pressing with a spoon to get all the glaze out. Brush glaze onto the base of par-baked pastry to stop filling juices from soaking into the crust, or glaze other bakery items before baking. 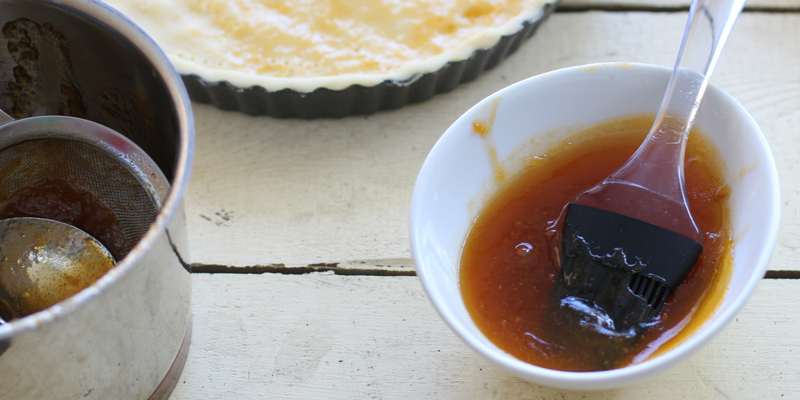 Transfer leftover strained glaze into an airtight container and store in the fridge.